Jack Leonard's father, Billy, is an alcoholic. Billy isn't a bad guy. Friends would say he's the life of the party; his family might refer to him as harmless. After all, he isn't a mean drunk... he's a happy drunk. Unfortunately, these things tend to run in the family, and Jack is on a path to join his dad in the bottle. Then Jack meets a girl, and what once seemed inevitable, loses its luster. Samantha fills many of the little holes in Jack's life. Fast-forward twenty years and his life is almost perfect. Or so it seemed. The Leonard family is going to be tested... and only time will tell if they can survive. 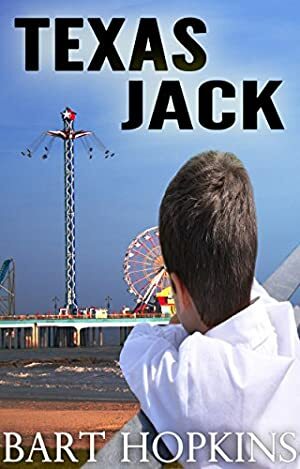 Texas Jack is a compelling story about family relationships, redemption, and finding harmony with loved ones. It's about people at their best and worst, and that gray area in the middle. The price of this book has changed 48 times in the past 2,207 days. This book has been FREE 17 times since we started tracking it. The highest price to date was $3.99 last reached on May 9, 2013.